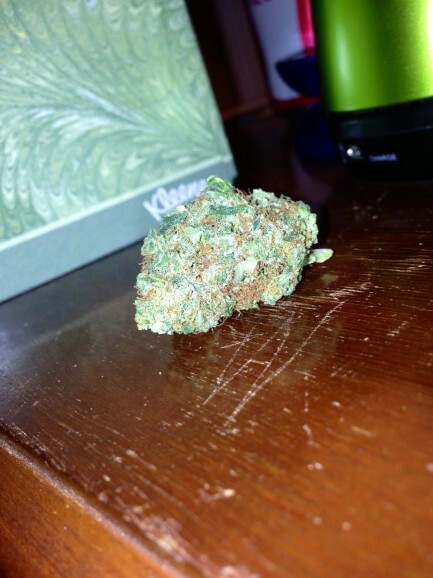 Looks: Dark/Bright green with thick and large amounts of orange hairs and very dense with trichomes. Smell: Fruity, unlike anything I have smelled before. Smells of fruit and earth. Taste: Sweet. Very mild, but sweet. Effects: Messes with your head and makes you feel all chill, very euphoric. It makes your imagination run wild. Very sleepy and relaxed high but it definitely messes with your head big time. Potency: Very high, felt off the first hit. Good Strain For: All day, all night, any activity. best strain I had.